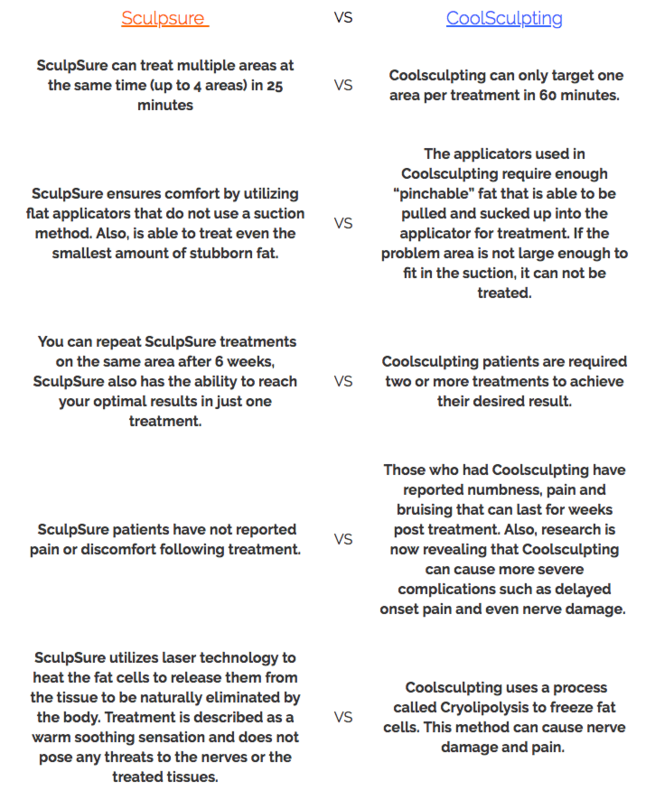 "Don't Sweat it, SCULP(t) it..."
SculpSure and it's innovative laser technology offers several advantages over Coolsculpting in regards to performance, time, and a reduction in risk of complications. The drastic differences between the two have been listed below. After seeing the vast differences between the two, its easy to admit SculpSure is the best choice! Call us today for your consultation at 904-273-6200.